Thirty-six year old Cyndy Villegas was just returning to college after spending 13 years at home raising her daughter. Cyndy was into her third semester of studies when she learned that she needed to have her ovaries removed. She already had her uterus removed five years earlier due to endometriosis. On Friday, August 16, 2002, Cyndy was admitted to the hospital for her surgery. Six hours later, in recovery, she was doing well, up and walking, and felt fine. Two days later, on Sunday, Cyndy was having a difficult time getting her breath and felt as though she was having an anxiety or panic attack so she called the nurse. She could not get any air in at all. Suddenly, Cyndy was being transferred to ICU. Cyndy protested the transfer; she was supposed to be discharged from the hospital the following day. Once in ICU, Cyndy was intubated and forced in a drug induced coma so she would not fight the machines that were attached to her body to save her life. Cyndy was on the ventilator for ten days; when they decided to see if she was able to come out of the coma and off the vent, she surprised everyone and began her recovery miraculously quickly.The doctors were shocked at how quickly Cyndy was able to recover at that point and after reading many of the stories of other people stricken with ARDS, Cyndy is also shocked as well. Although initially Cyndy was so deconditioned that she could not move her muscles, she worked herself back in days. Her feeding tube was removed immediately and she was able to eat solid foods. Three to four days later, she was moved to the regular floor and physical therapy began. Cyndy used a walker for a couple of days, but after that, she was walking on her own. Cyndy has quit smoking. She is not as active as she used to, but still, it has only been two months since she was released from the hospital. She does not want to over do it, and is listening to her body. Post ARDS, she is still on inhalers, and they tell her that she may be for the rest of her life. Sometimes Cyndy feels as though she does not fully comprehend her whole story…she is missing the picture, and sometimes feels as though it has not completely hit her. She is grateful to be alive but the realization that she was so close to death, at times, is daunting. 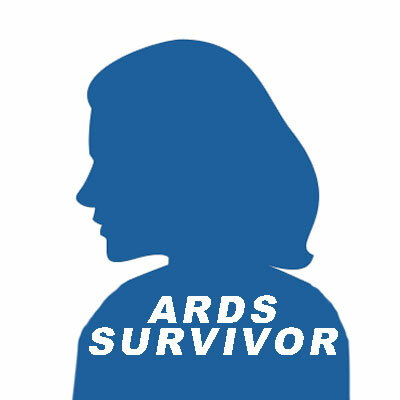 Still, in the end, she realizes that it has only been a short time since her discharge and she will learn more about ARDS and she may also recall more about the experience as she makes connections with others in the ARDS community.